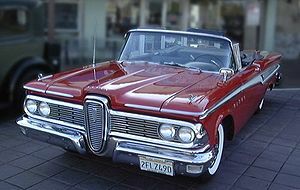 Ford has had a long history of coming up with unique ideas – Edsel case in point. Summary: In this auto repair blog we cover some of the most common Ford mechanical issues in late model Ford vehicles. Learn how a minor tune up could lead to a several thousand dollar repair. 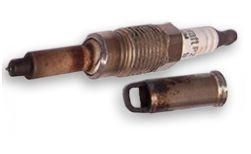 Some of the most notable problems are with spark plugs ejecting (and breaking) – EGR systems, transmission failures and keys getting stuck in the ignition. Along with common problems, auto mechanics need specialty tools in some cases to make repairs; we cover those too. Ford spark plugs ejecting while driving down the road is almost 100% unique to the Ford Motor Company. In some 4.6, 5.4 and 6.8 liter engines (most manufactured prior to 2003) the four aluminum threads give-way, allowing the spark plug to be FIRED one last time – as a projectile! Typically when the plug shoots out it breaks the ignition coil along the way. Ford dealers in most cases want to replace the affected cylinder head for the tune of around $3500. We have a better solution which has saved our customers hundreds of thousands of dollars over the past several years. Our fix is done in the vehicle and the spark plug port repair makes the threads stronger than new – it lasts the lifetime of the motor. Just what you expect from any spark plug threads, right? Spark plug problems continue to plague Ford. After having engines that spit out spark plugs like a spud out of a potato cannon, Ford has had an epiphany… a better idea. On some 4.6 and 5.4 motors from around 2004 & up, the problem is a new one… Ford spark plugs are now breaking off left and right when unsuspecting owners or techs are attempting to perform minor tune-ups. Ford again out doing themselves with another better idea – the unique spark plug they have in 2004 and up Triton 3 valve engines has a large electrode shield which tends to stick with carbon build-up. The result in many cases is a broken spark upon removal. The threaded part comes out leaving the shield and many times a chunk of porcelain stuck, wedged with carbon down in the cylinder. This has become such a problem that Ford has issued a TSB outlining a procedure for changing spark plugs in affected vehicles. If the procedure doesn’t work, the cylinder head may need to be removed costing several thousand dollars at the dealer. We have discovered the best and least expensive specialty tool for removing broken spark plugs in these vehicles. The specialty tool has had a great track record, it’s the tool I would use if faced with this problem – the Lisle 65600. Some other common problems with Fords are EGR low flow codes, which can mean EGR passages are clogged up and in many other cases it could just mean that the DPFE is bad. Ford lean codes are really common and most of the time they are easily diagnosed and repaired. Transmission all-out failures seem to have been most common with Ford Explorers around the year 2000. Ford seems to have improved the quality and reliability of their transmissions in later models. Crown Victoria’s and other rear wheel drive cars around the year 2000 also had an issue with their transmissions. The problem was a shudder around 45 MPH. The problem was actually related to the torque converter. Some shops including the one I worked at (around 02-05 performed a transmission flush, changing all of the transmission fluid including what is in the converter. Most of the time the shudder would be taken care of, a small percentage of the time the transmission had to be removed and the torque converter would need to be replaced. Ford Focus cars had a huge problem with the ignition lock. The tumblers can wear and cause binding making it impossible in some cases to turn the key. For awhile at the shop I worked at prior to 2005, we were getting two or three a week towed in. If we were busy, we let the locksmith replace the ignition lock. 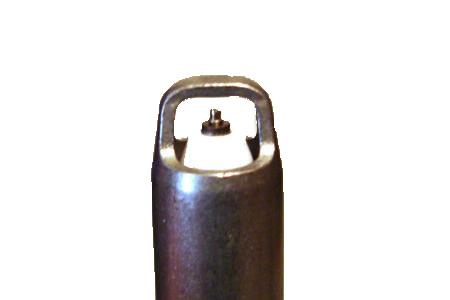 It was a pain to remove the lock cylinder because the key needs to be turned to the on position before a release button could be pushed in to release the lock cylinder. Since the key would not turn – there lies the problem. 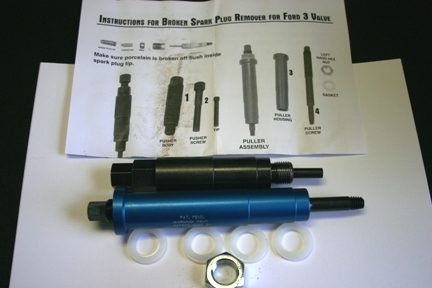 Sometimes WD40 can be sprayed into the lock cylinder and vise grips can be attached to the key to be used as leverage. Of course the key can be broken if too much force is used, but sometimes by working the key back and forth the lock can be turned to the on position so that the lock cylinder can be removed and replaced. If that trick doesn’t work, extreme measures may have to be taken. The Focus is one of the few cars that you can get away with using a slide hammer to remove the ignition lock. It’s done by running a sheet metal screw into the slot where the key goes. Then the slide hammer can be attached to the screw with Vise grips. Whaling with the slide hammer will pull the lock out without breaking the ignition lock housing. Once it’s out of the ignition lock cylinder, it can be recoded to match the original key and installed. The locksmith that I used to talk with back then told me to never try the slide hammer method on any other vehicle because the housing would break, causing extensive damage to the steering column. Please reference this auto repair article when quoting, linking to this page is welcomed and appreciated. If you are new to linking a page. 1. 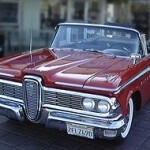 Left click the link; https://www.denlorstools.com/autoblog/2009/10/common-ford-problems-and-specialty-tools/ to highlight 2. Right click, select copy 3. Right click and paste to forum, blog web page etc. Thanks! Disclaimer: Auto repair information/tips are designed for informational purposes only, without warranty of any kind, in no event shall the author of this site be liable for any consequential, incidental or direct damages sustained in the course of using the information in this article. On a final note, just want to let Ford lovers know, I too like Fords, in fact I once restored a 67 Mustang convertible – see my article on the cowl repair, along with pictures. If it wasn’t for Ford, auto mechanics would not have anything to work on. I have a 1968 Ford 390 engine that has a distributor that is stuck and won’t move. How do I get it loose? I’d try penetrating oil, try to twist it back and forth and resort to using a slide hammer if necessary. Good luck.